While many countries currently have bans on shark fishing, the Western Australian government has other ideas. There have been seven reported shark attack deaths in Australian waters in the last three years alone; in comparison, there had been only thirteen deaths in the entire century before these last three years. 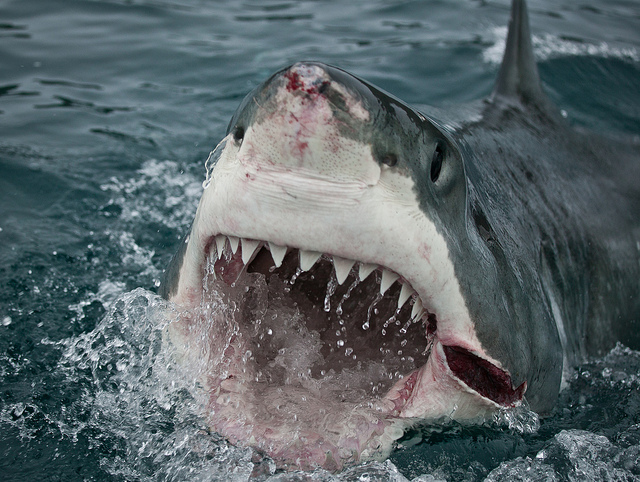 To protect its citizens from the continued threat of shark attacks, Australia recently began a shark “cull”. Although the number of shark-related deaths may seem alarming, most protestors disagree that a shark cull will achieve the desired results. They point first to the shark cull in Hawaii in the 1950s and 1960s, which did not produce noticeable results. They also advocate a range of alternative strategies to help increase public safety from shark attacks. This more ecologically sensitive approach has perhaps found a supporter in the Australian Minister of the Environment, who has tried to combine the drastic intervention of the shark cull with the rhetoric of public awareness. In order to protect swimmers and surfers from shark attacks, the Western Australian government has set out seventy-two drum lines that will remain in place between the months of January and April. These drum lines will be used to catch sharks, and if the caught sharks are three meters or longer, they will be shot. This generally includes both Great White Sharks and Tiger Sharks. The government has contracted with commercial fishermen to maintain these drum lines and to carry out the slaughter of the sharks once they are hooked. Protestors are concerned not only with the inhumane way that Western Australia plans to kill the sharks, but also with the effects that so many shark deaths could potentially have on the marine ecosystem. The Australian Marine Conservation Society warns that “removing too many sharks from an ecosystem can lead to a monumental shift in equilibrium between predator and prey . . . .” The result of shark culling could be an overpopulation of animals lower in the food chain, which could in turn set off catastrophic tremors through the rest of the marine ecosystem. And conservationists are not the only ones who have issues with shark culls. Last year, hundreds of surfers gathered in Australia for a “peaceful paddle” to demonstrate their opposition to the cullings — even though the policy was ostensibly designed to protect them. These surfers know of the inherent possibility of a shark attack, and they have willingly accepted the risk. Three Australian laws seem to stand in the way of the cull. Each law, however, seems to provide enough legal flexibility to allow the cull to continue. Under the Fish Resources Management Act of 1994, for example, long line commercial fishing — the very type of fishing that the government-contracted fishermen would use to kill the sharks — is prohibited. The Fish Resources Management Act, however, specifically defines commercial fishing as “fishing for a commercial purpose[. ]” This definition allows the government to place the cull outside the coverage of the 1994 Act. The government can claim that shark culling, despite the presence of commercial, government-contracted fishermen, is not undertaken “for a commercial purpose”, but only for the purpose of increasing public safety . Both the Wildlife Conservation Act of 1950 and the Fish Research Act of 1994 classify the Great White as a protected species and act to safeguard it. Under the Wildlife Conservation Act, all fauna is “wholly protected throughout the whole of the State at all time.” However, subsection (2) provides an exception; the provision confers substantial discretion to the Minister for the Environment to exclude certain fauna from protection during certain periods. This subsection presents the legal grounds for excluding the Great White from the protection of the Wildlife Conservation Act, thus allowing for its culling to continue. A third act, the Environmental Protection and Biodiversity Conservation Act of 1999 (EPBC), includes similar exemption mechanisms. Under the EPBC, the Great White Shark is listed as vulnerable and migratory. However, the EPBC also creates a system for state governments to request exemptions from protection in instances where the protected animal is deemed to present an imminent threat to public safety and the state economy. Minister for the Environment Greg Hunt granted the Western Australia state government the exemption it requested in order to move forward with the shark cull. Although Minister Hunt has asserted that public safety is the central concern, he has hinted at sentiments similar to those of the protesting surfers. Seemingly concerned with the culling, Minister Hunt stated “[i]f we diminish [individuals’] sense of self responsibility[,] then we may create greater risk of misadventure, accident or tragedy.” Minister Hunt’s hybrid approach binds personal responsibility—or at least a self-aware acceptance of the risk of a shark attack — with further government action to mitigate the potential dangers. While an exemption from the federal government may legalize the shark cull, it still fails to legitimize it in the eyes of many. The suspect environmental assumptions underlying the decision have led to much outcry from Australians and the international community. Moreover, Great Whites are protected under certain international conventions, including the Convention on International Trade and Endangered Species of Fauna and Flora and the Convention on Migratory Species. These conventions, however, only limit the trade and fishing of the Great White Shark. This narrow, commercially oriented scope renders the Convention on International Trade and Endangered Species inapplicable to Australia’s purely domestic, public safety driven decision. The Convention on Migratory Species is equally inapplicable; while the convention prohibits the “taking” of sharks, except in extraordinary circumstances, the Australian government does have a claim for exceptional circumstances in the recent increase in shark attacks. The legal issue thus devolves into a clash of reasonable minds disagreeing vocally on what the public good should be, and thus what should qualify as an exemption. Although it appears that the actions of the Western Australian government are legal because shark attacks present a public safety concern, the question really should transcend legal boundaries and brush upon the moral dilemma of whether the decision is the right one. Critics believe that there are alternatives to culling that are more effective and do not put the sharks at risk. Some of these alternatives include increasing the funding for research on shark attacks, or implementing monitoring systems to track shark movement. Critics also claim that there is no concrete evidence that a cull would even reduce attacks at all. While increasing public awareness of the dangers of swimming in shark-infested waters is not as dramatic an action as the cull, perhaps it is enough protection to simply inform the public—and then allow those who then want to assume the risk of a shark attack to do so. The counter to that argument is that it is in the government’s interest to protect its citizens, despite their personal choices. Minister Hunt attempted to straddle the line between both sides in his explanation for granting an exemption; in so doing, he may have failed both the sharks and the beachgoers that he wanted to protect. Citation: Alex Kerrigan, Sharknado in Western Australia , 2 Cornell Int’l L.J. Online 18 (2014). * Alex Kerrigan is a J.D. candidate at Cornell Law School, where he is the Cornell International Law Journal’s Associate for Russian Affairs and a research assistant for the Legal Information Institute. He holds a B.A. from the University of South Carolina, where he studied criminal justice and Russian. Anisha Chadha, Australian shark cull: Necessary public safety policy or fear mongering?, The International (Feb. 28, 2014), http://www.theinternational.org/articles/506-australian-shark-cull-necessary-public-s/. Peter Shadbolt, Shark Culling begins in Western Australia, angering conservationists, Cnn (Jan. 27, 2014, 10:38 AM), http://www.cnn.com/2014/01/27/world/asia/australia-sharks/. Jane J. Lee, Western Australia’s Controversial Shark Cull Claims First Casualty, Nat’l Geographic, (Jan. 28, 2014), http://newswatch.nationalgeographic.com/2014/01/28/western-australias-controversial-shark-cull-claims-first-casualty/. Tom Arup, Greg Hunt grants WA exemption for shark cull plan, The Sydney Morning Herald, (Jan. 21, 2014), http://www.smh.com.au/federal-politics/political-news/greg-hunt-grants-wa-exemption-for-shark-cull-plan-20140121-315zk.html. Save Our Sharks, Australian Marine Conservation Society, http://www.marineconservation.org.au/pages/sharks.html. Michelle Wheeler, Surfers say no need for shark cull, The West Australian, (Feb. 11, 2013, 5:15 AM), http://au.news.yahoo.com/thewest/latest/a/16105893/surfers-say-no-need-for-shark-cull. Fish Resources Management Act 1994 (WA) O 239 (Austl. ), available at http://www.slp.wa.gov.au/gazette/gazette.nsf/0/A9DE0AF10BD29E0AC825739200146941/$file/gg239.pdf. ; Daniel Mercer, Shark cull could violate existing laws, The West Australian, (Jan. 20, 2014, 4:26 AM), http://au.news.yahoo.com/thewest/a/20878600/shark-cull-could-violate-existing-laws/. Fish Resources Management Act 1994 (WA) s 4 (Austl. ), available at http://www.slp.wa.gov.au/pco/prod/FileStore.nsf/Documents/MRDocument:23624P/$FILE/Fish%20Resources%20Management%20Act%201994%20-%20%5B04-c0-02%5D.pdf?OpenElement. Wildlife Conservation Act 1950 (WA) s 6 (Austl. ), available at http://www.slp.wa.gov.au/pco/prod/FileStore.nsf/Documents/MRDocument:20681P/$FILE/WildlfConsvnAct1950_08-00-00.pdf?OpenElement. Carcharodon carcharias — Great White Shark, Dep’t. of the Env’t, Austl. Gov’t., http://www.environment.gov.au/cgi-bin/sprat/public/publicspecies.pl?taxon_id=64470. Ben Packham, Western Australia given exemption from federal laws to cull sharks, The Australian, (Jan. 21, 2014, 3:41 PM), http://www.theaustralian.com.au/national-affairs/western-australia-given-exemption-from-federal-laws-to-cull-sharks/story-fn59niix-1226806898694. Convention on International Trade in Endangered Species of Wild Fauna and Flora, art. II, Mar. 3, 1973, 27 U.S.T. 1087, T.I.A.S. 8249, 993 U.N.T.S. 243, ELR Stat. 40336, available at http://www.cites.org/sites/default/files/eng/disc/E-Text.pdf ; see also White Shark (Carcharodon carcharias), Dep’t.of the Env’t, Austl. 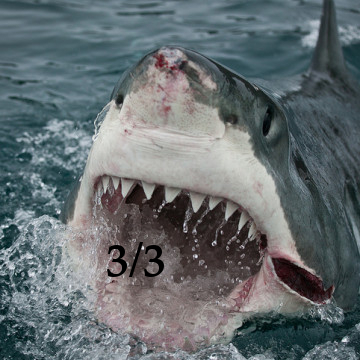 Gov’t., available at http://www.environment.gov.au/topics/marine/marine-species/sharks/whiteshark. Convention on the Conservation of Migratory Species of Wild Animals, art. III § (5)(d), June 23, 1979, 1651 U.N.T.S. 333, available at http://www.cms.int/documents/convtxt/cms_convtxt.htm; see also Oliver Milman, Shark cull: government in ‘clear breach’ of international obligations, The Guardian (Feb. 12, 2014, 12:45 AM), http://www.theguardian.com/world/2014/feb/12/shark-cull-government-in-clear-breach-of-international-obligations. Save Our Sharks, supra note 9. See Shadbolt, supra note 2.